Regionality and context are at the heart of indigenous science. But when you examine what scholars assert constitutes sound theory building, the universality of a theory’s applications are at the center of sound science. If a theory shape-shifts as a result of context, we deem it a poor theory. Imre Lakatos argued that sound theory has a central core that’s unchanging. The heart of a good theory is stable, surrounded by “auxiliary hypotheses” that are tested, massaged, reconstituted or rejected. In his ground-breaking Structure of Scientific Revolutions, Thomas Kuhn channeled Lakatos and popularized the idea that when theories are challenged by anomalies, a shift occurs, and the old paradigmatic view is replaced with a new one. For example, scientists long assumed that stomach ulcers were caused by acid produced from stress, coffee, cigarettes and whiskey. But in the 1980s researchers found that a bacterium, Helicobacter pylori, was responsible for most ulcer cases. Doctors successfully treated gut pain with antibiotics and a new paradigm replaced the old one. Because indigenous science is contextual, knowledge is created through application: trial and error. The Yup’ik learned that the guts of animals repel the elements and they fashioned wind-breakers from seal intestine. The Yup’ik weren’t guided by theory, not in the way that we instruct our students to examine theory and then test it through well-developed hypotheses. Yet Yup’ik science is rationale and consistent. 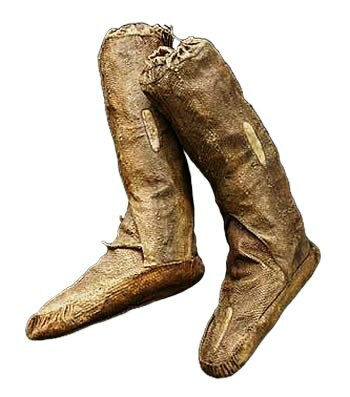 In the exhibit I saw in July at the National Museum of Natural History, the skins of fish were used to fashion waterproof boots. One elder, Theresa Moses, had a pair of boots with fish-skin soles and she was warned to avoid stepping in dog poop. Biologists know that enzymes in feces break down the collagen in fish skins: the Yupik learned this from years of experience, yet they don’t call this science—it’s just plain old good sense. But Lakatos would consider Yup’ik science as pseudoscience because it doesn’t fit within the paradigm of the central core surrounded by auxiliary hypotheses and doesn’t entertain novel predictions. Such an approach illustrates the basis of Western empirical science, so it’s no surprise that Lakatos also considered psychiatry, Marxism and even sociology as pseudosciences. From this widely accepted perspective, indigenous science will always be considered pseudoscience and will bear the stigma of being less than robust. But don’t step in the poop.